COMING SOON - PLEASE CONTACT US FOR ADVANCE ORDERS! 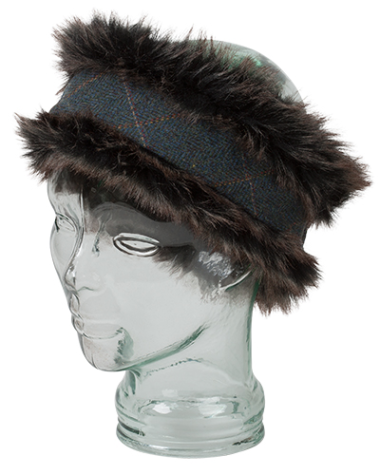 What's not to love about this fantastic new tweed headband from Hoggs of Fife? Made from 100% Lambswool and a specially comissioned tweed, it is fully reversible and elasticated to fit all sizes. The tweed is Teflon coated for extra rain and stain resistance and matches the Sherborne Ladies Lambswool Field Coat (see below). Dark Teal with a gold and red check makes is a stylish addition to your headwear collection.